When in the market for a new vacuum cleaner it can be difficult to know which way to turn. There are so many types and brands of vacuum cleaners available nowadays that it can be easy to get "lost" while trawling through dozens of websites and product catalogues. Ideally you should look for a product that is reliable, offers a good level of performance and is good value for money. What about a Eureka vacuum? Eureka was founded in the US in 1909, going on to become one of the biggest manufacturers of vacuum cleaners in North America before being purchased by the Electrolux vacuum brand in 1974. Nowadays Eureka vacuum cleaners are a division of Electrolux, with the parent company handling the manufacturing of the entire range. Eureka Vacuum Cleaners: Which One Should You Choose? 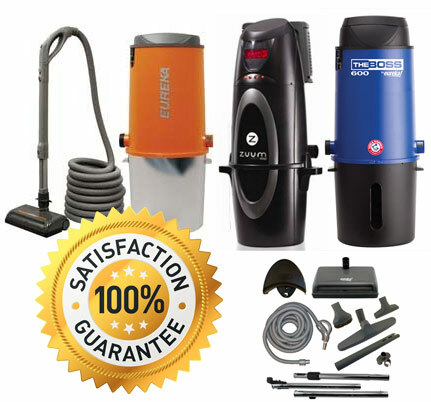 Eureka boasts a comprehensive line-up that contains upright models, canister style models, lightweight models and central vacuum systems. To determine which of these vacuum styles is right for your requirements, contact us today and speak to a member of our team. AirSpeed Gold - Eureka has designed this model with "AirSpeed Technology" which increases the amount of air that passes through the vacuum. This system also shortens the distance that any dirt that is collected has to travel and increases the strength of suction to boost overall performance. It also possesses a 14 ft hose and 32 ft of cable to offer you a considerable 46 ft reach. AirSpeed ONE Pet - If you have pets, you'll know that pet hair can be a real problem. This Eureka vacuum combines the unique AirSpeed Technology with a specially designed PET Power Paw that makes it easier to remove hair from carpets and upholstery. It is also extremely lightweight and offers great manoeuvrability. SuctionSeal AS1101A - The loss or reduction of suction can spell disaster for a vacuum's performance but that never happens with this model. It possesses SuctionSeal Technology, utilizing all-surface suction plates that offer concentrated suction no matter what type of surface you need to clean. This model also comes with AirSpeed Technology and a hose that extends to 39 ft.
AirExcel Compact 990A - As the name suggests, this Eureka vacuum cleaner features a compact design that is great for smaller properties. It also comes with the specially designed AirExcel system, meaning the vacuum never loses suction and it allows you to clean a multitude of different surfaces effectively. Complete Clean 955A - A great all-round model that features large real wheels to enhance mobility, a HEPA filter system that is proven to remove 99.97 percent of the dust and allergens in the air and an automatic cord retraction system that makes the vacuum more space efficient when stored. EZ Kleen 433BE - This vacuum weighs less than 12 pounds in total and features a double motor system that delivers the level of performance you expect from a Eureka vacuum. Additionally, it features an ergonomically designed handle, an easy to use dust cup and a variety of tools that allow you to clean all areas of your home. If you would like the professionals at Amati Home Systems Ltd. to help you in your search for a new vacuum, whether it be a Eureka vacuum or a model produced by another manufacturer, please get in touch with our team today. We serve the communities of Toronto, Richmond Hill and Thornhill.